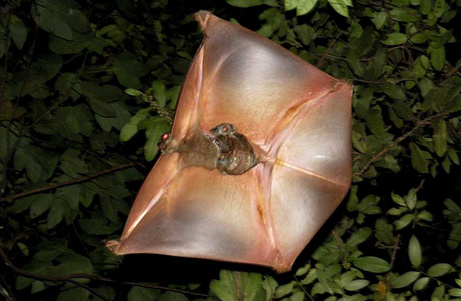 There are only three known species of the flying lemur, though it’s suspected there are more. 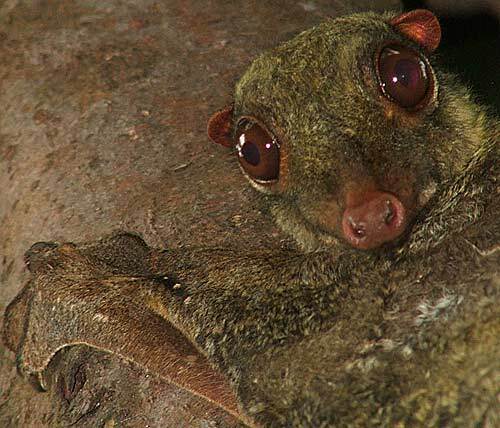 They are also known as the Sunda Colugo and they are found in Viet Name, Laos, Cambodia, Thailand, Myanmar, Malaysia and Indonesia. They are found in rain forests, spending most of their lives up in trees. 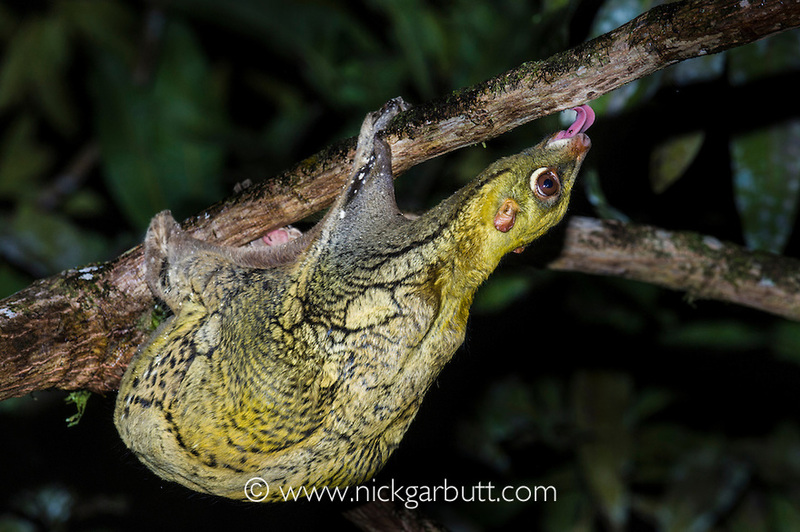 They are exceptional climbers with the ability to leap and glide from one tree to another. They are tiny creatures, maxing out at about 42 cm in length. They have flattened digits that form a kind of suction cup to help them climb and there is little sexual dimorphism, which means the males and females will look pretty much the same. They eat fruits, flowers, nectar and sap and even have comb-shaped incisors! It’s thought that they even aid in seed dispersal and flower pollination. No one really knows what their predators are, except for humans, but we pretty much kill everything, which is kind of sad. Sunda flying lemurs have incredible camouflage and actually blend into bark quite well. They can glide up to 100 meters with minimal loss in altitude and are thought to be solitary. Flying lemurs are thought to be the closest living relative to primates, which is pretty cool! There are so few studies on the Sunda flying lemur, in fact, specimens have not been collected for institutions since 1907. That’s ridiculous! Someone get out there and study these adorable little creatures! If you’re looking for a life calling and want to save an ADORABLE endangered creature, here it is! I’ve done half the work for you! I would step up, but primatology is my calling, great apes are my calling.